Defining success as a Christian leader is one of our most challenging, vexing and difficult tasks. In part 1 of this podcast, Pete looks at two idols that dominate current Western culture and church leadership. One of the most important topics for any leader is how we develop other leaders. The future of our ministries depends on it. 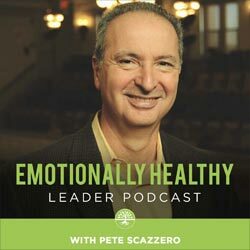 In this podcast, Pete shares the top three mistakes he has made and observed in leadership development over the decades. Many leaders are overworked, tired, and weighed down with too much to do in too little time. In this podcast, Pete discusses two keys to creative leadership: Sabbath and silence. This podcast traces the history of Christianity and how this impacts our discipleship and our leadership today. Embracing transitions is one of the critical leadership tasks every leader must master if we are to do God’s work, God’s way, and in God’s timing. Sadly, endings and transitions are often poorly handled in our families, ministries, organizations, and teams. This podcast explores the inner work we must do as leaders if we are to cooperate with God in this difficult work of endings and new beginnings.